The Board of Governors at the Justice Institute of British Columbia (JIBC) is pleased to announce the appointment of Dr. Michel Tarko as the new JIBC President, effective October 1, 2012. Dr. Tarko has more than 25 years of experience in the post-secondary education system, serving in leadership roles ranging from faculty member to Curriculum Manager, Associate Dean, Dean, and most recently as JIBC’s Vice-President, Academic since September 2009. 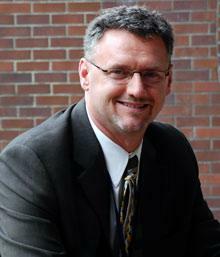 He succeeds Jack McGee, who is retiring at the end of September 2012 after serving as JIBC President since 2000. Dr. Tarko’s five-year appointment culminates a six-month, cross-Canada search for a successor to President McGee. “The Board is confident that Michel will continue to lead JIBC with the same integrity and commitment as his predecessor, while bringing his own strategic vision and style,” said Douglas Eastwood, Chair of the JIBC Board of Governors. “I want to thank the Board for participating in this rigorous search process, and especially thank Jack McGee for his extraordinary leadership.” Read more…….